We, at Dynamix, are thrilled to introduce our brand new blog! Over the past 6 years we have dedicated our time and expertise to bring you the most innovative and effective workshops. 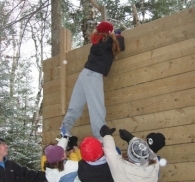 With your help we have been able to evolve and establish ourselves as the leaders in teambuilding and leadership for children, teens and all those working in the youth sector. - to keep you posted on all of the exciting things happening in the world of Dynamix. We are confident that this blog will serve you well and we look forward to your contribution and guidance to ensure the most practical and relevant information. So please comment on our entries, send us suggestions, or tell us about all of the amazing things you are already doing! In order to help maximize the impact of our blog, we ask that you please pass it along to all of your teachers, colleagues, friends and anyone else who may benefit from it.